The sixth edition of Aliwal Urban Art Festival is here! Celebrate urban art and youth subcultures that live on the edge of modern society. Come as you are, and soak in the good vibes –– from graffiti to graphic art, skateboarding to dance battles, and more! 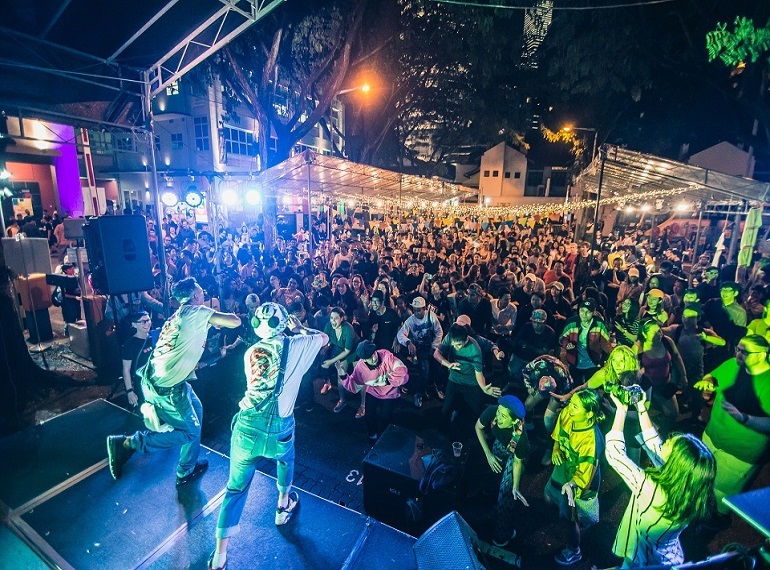 The annual celebration of Singapore cool, held as part of Singapore Art Week 2019, will offer opportunities for all to come explore, enjoy and experience various facets of urban art and youth subcultures showcased during the festival. • Dance – Check out a kids' street dance audition, Radikal Forze Jam 2019 SG Qualifiers dance battle, and special showcases, curated by dt (aka Darren Toh), by the hip-hop dance community. • Urban Art – Spearheaded by RSCLS, check out live graffiti painting in Aliwal Street, as well as an ART IN THE STREETS Pop-Up Exhibition. The festival will see the debut of A Sign of Times exhibition, as 30 to 40 creatives from the Singapore urban creative community showcase their re-interpretation of instructional metal street signs in celebration of the spirit of rebellion, quintessential to street culture. • Music – Enjoy a series of Live Music Showcases, curated by SGMUSO, featuring independent bands across genres including R&B, math rock, folk pop, hip hop and more. • Workshops – From silversmithing to public drone try-outs and skateboarding, pick up a new skill or share your experiences with the community. • Lifestyle - From clothes to handcrafted products, discover and bring home merchandises by Singapore's independent artists. Specially-curated food vendors will keep your hunger pangs at bay.